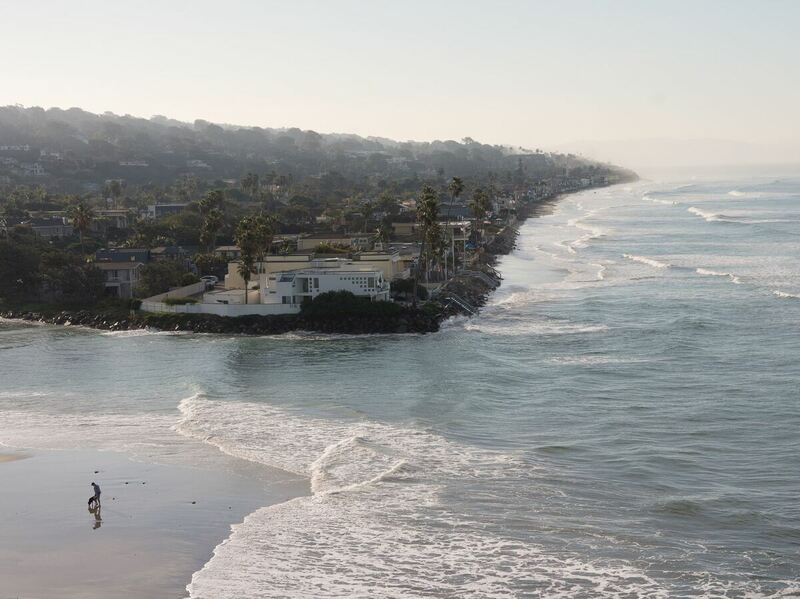 The city of Del Mar, Calif., located about 20 miles north of downtown San Diego, has voted against a formal policy of "managed retreat" from rising seas. The feel-good here is gone. I thought they were going to bury me here, but if someone offered [to buy my house], I'd take it. I'd walk away. "When those sea walls go, we go," Imperato, who served on the committee, says. 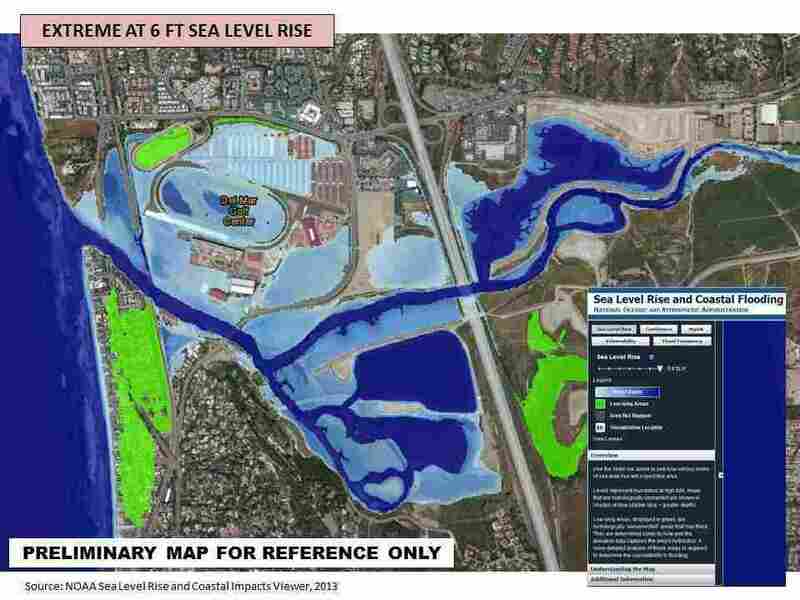 Del Mar's affluent Beach Colony neighborhood, under the green on left, would be nearly inundated under extreme projections of sea level rise, according to the city's planning documents. 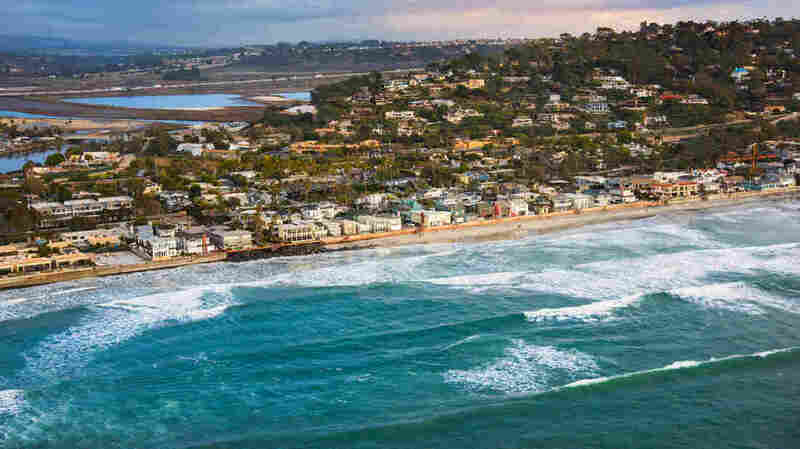 Hearing those concerns, "we started crossing out managed retreat and replacing it with other words like 'not feasible here in Del Mar'," says Terry Gaasterland, who chaired the city's Sea Level Rise Advisory Committee. The California Coastal Commission, for its part, isn't penalizing cities that don't embrace the idea of managed retreat. Madeline Cavalieri, a manager with the commission, says there's no one-size-fits-all solution for dealing with sea level rise; different cities need to consider a combination of different strategies. "Over the past however many years, people have thought, 'Well I'm purchasing a home, I'm buying a property, this property is going to be here forever.' We now understand with sea level rise that there are going to be locations where we can no longer count on the fact that house is going to be there in perpetuity," she says. "We're not worried about the actual hazard because you can accept Mother Nature, and that may happen a hundred years from now," Imperato says, "What we're afraid of is the regulations that are going to affect us today or tomorrow." Imperato, like many homeowners in Del Mar, was happy that the city said no to managed retreat, but he's still frustrated that it was considered in the first place. He believes damage to property values has already been done and says he has told a realtor to "pocket list" his house. Worden agrees that in Del Mar, managed retreat does not make sense. He doesn't believe it's feasible. But he's also realistic about the challenge sea level rise presents.